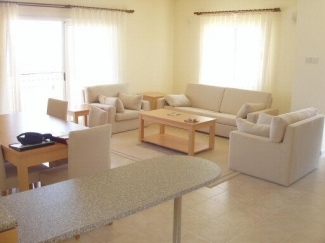 This modern, spacious, upper floor 2 bedroom apartment is situated in a picturesque stretch of North Cyprus' northern coastline. 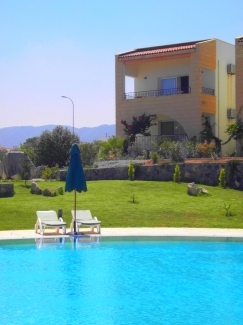 With new access routes having been developed to the area, you will be able to access all areas of North Cyprus with ease, Kyrenia to the west is only 30 minutes, Nicosia and Famagusta in central and eastern regions can be reached inside 90 minutes through the beautiful mountains by car. The apartment has a spacious open plan living area with ample seating provided by lounger style sofa and chairs, a large dinner table and breakfast bar. 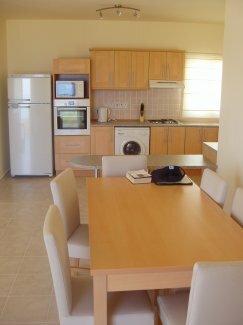 The well equipped kitchen comprises a cooker, gas hob, microwave, fridge/freezer, dishwasher, washing machine and kettle with cuttlery/crockery and cooking utensils provided. The main double bedroom has an en-suite and built in wardrobes, the double bedroom also benefiting from floor to ceiling built in wardrobes. The family bathroom is just along the corridor. 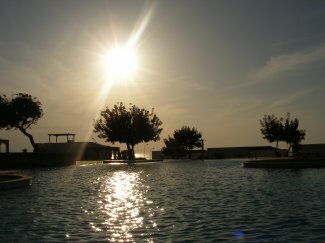 As the sun sets in the evening, the place to be is on the balcony experiencing the fantastic view across the swimming pool looking out to sea, the mountains providing a stunning backdrop. There are several supermarket options available, some good ones are just a short walk way whilst larger more established supermarkets such as 'Lemar' can be found in Kyrenia (30 minutes). Belapais, Turtle beach, Nicosia, Famagusta, Golden Beach (north east tip).